Azuredesk is a clod based customer service software that is user friendly with all the essential features at minimum rate of 9$ per user. "A flawless online customer service software"
AzureDesk is quite economical and has all the must have features of enterprise class systems. It provides a free trial for up to 14 days and a free plan for up to three agents. It has mail integration and allows multi-channel communication and has built-in email templates too that you can easily edit and forward to your clients. AzureDesk does not provide very efficient reporting as it lacks channel fields. The approval of updating tickets is also not quick. It does not generate automatic notifications either. AzureDesk support third party integration with software like JIRA, Slack and many others. It has a sleek user interface for admin requests. It has a powerful search and allows your customers to first search their queries before getting to customer portal. It provides ticket management as well. "Azure is a software that highlights by its simplicity of use"
The support team is on touch and helps you to solve any doubt and issue you would have. Other helpdesk systems fails in this section but AzureDesk has demostrated a strong support team behind the scenes. It's simplicity of use helps you to get things done very quickly and improve your efficiency in the support process with customers or employees. The design could be a little better but they are working hard to improve it every day with different updates on the UI and backend. We are integrating all support request from our customers and employees in AzureDesk, in order to keep track of the issues and offer the best service to our users. "Highly useful software for simplifying and enhancing your interaction with your customers." Azuredesk is quite economical and provides a free plan for up to three agents. It has email integration and allows multi-channel communication. It provides ticket management as well. It provides built-in email templates too that you can easily edit and forward to your clients. Azuredesk does not provide an activity dashboard. It lacks workflow management too. It also does not allow customizable branding. Automatic notifications are also not generated in Azure. Azure desk allows you to manage feedback obtained from the clients easily. It allows you to integrate and manage a help desk too. It supports third party integrations too. It has a powerful search and allows your customers to first search the query answers themselves in its customer portal. 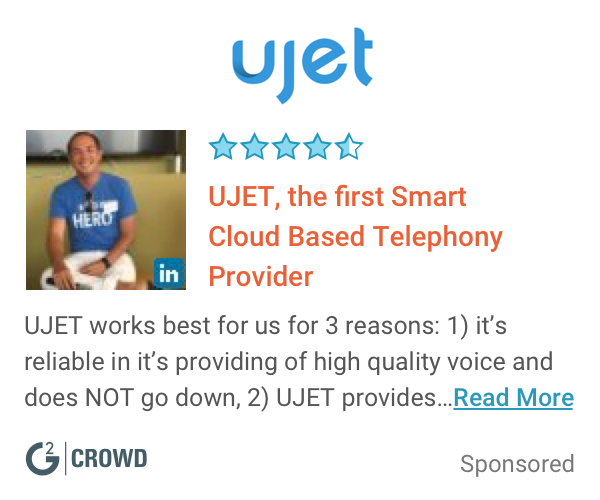 "Really Simple and Useful Customer Service and Helpdesk Software"
After you register, you can start using the product with all its features for free (one agent), and then scale up based on your needs for only 5$/month per agent. It's really a gift! Maybe some small features like support for HTML messages and signatures. Internal support for our employees here at our IT department, and also for our external customers at www.canarias.com. "Support when you need it." This SaaS support desk application has changed the way we handle customer support. Gone are tracking emails and follow up where key content and repetitive messages can be easily captured for future use. A quick review of the dashboard shows any outstanding remedial action and the interface continues to improve. The interface is a little slow to load, but that is most likely my data connection rather than the server end issue. Request a trial and invest the time in a training session. This tool improves both efficiency and professionalism of the support process. 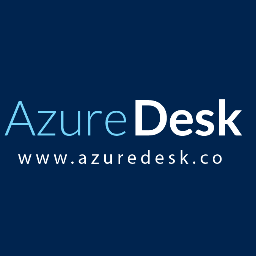 "Excellent customer support service on a budget"
AzureDesk is a light yet flexible customer service application that does the job, without spending a fortune every month! I took advantage of the 14-day trial version period to give it a shot and I was very pleased overall. The company is relatively new to the customer service landscape but they seem to have a solid understanding of today's market and needs. They have an excellent help desk and actually this is the main thing that it really was a deal closer for me. I was having an issue with a feature, so I send them an email. The response was almost instant and that made me feel comfortable and safe! I really encourage others to give it a shot. Its no ZenDesk but it does the job in a fraction of the price. I would say that overall I didn't find any major issues that concerned me. However I would like to point out that I wouldn't mind if the loading of some pages took a little bit less time, especially the ticket page. Not a big issue but I thought worth mentioning. I definetely encourage other people to give it a shot. It's a very good alternative on a budget!Great help desk too!! We are a working on an educational institute that is mainly for students and faculty. So we were looking for a customer support service that does the job and doesn't cost too much. We needed a simple to learn and use system and I thing AzureDesk is what we are looking for. As the company is still growing and they are enhancing the features of the product at top level. so i did not found and dislikes yet. "Great value and very responsive and helpful customer service. " It has a high value due to offering a lot of features for the price. Coming a close second is the customer services. I've worked with Chirag mainly and he's always been very responsive and helpful even on the weekends. We could use a customizable field (or two) that's searchable. For now, we're using the Notes section which is an acceptable workaround for now. Need for a robust ticketing system. Azuredesk is easy to use software we mainly use it for Customer support but it also have option for creating knowledge base which i great. We plan to use that feature in near future. The UI is designed for ease of access, it performs good in modern browser the search functionality helps a lot while try to find old ticket for a particular customer. Customers can directly reply for a ticket from their email address. It is a great feature to have. When solving a customers ticket we can put private notes that is only visible to staffs which allows better communication within ourselves. Azuredesk helps us to provide support to our customers. We had noticed huge spark on productivity from our support personnel after we switched over. "Trust is the top concern, so companies can't alter or remove reviews." Its a bit tough as you are new to it but once you get it know each other its smooth as it could be. As its a start company I haven`t faced a major problem yet, I would say there are no problems but the Customer Support is great help. MY main problem was with my customer, it was impossible to keep track of their query, doubts & errors. Using Azure desk my problems are solved quickly. Azuredesk has transformed our support process, quickly , efficiently and with buy in from all our consultants. AzureDesk is a simple system, it needs some minor tweaks around HTML. Azuredesk is allowing us to manage support tickets in an ISO270001 approved fashion, while retaining our SLAs. Simple ticket layout, ability to refine ticket selection, powerful ticket search feature, dashboards, Knowledge Base, Integrations and the responsiveness from the AzureDesk team. Areas which are currently under improvement include mobile accessibility and a faster loading time of tickets. One place to contain all the support issues. "Best software for cooperate peoples"
The user interface of the software is too easy and the multifunctional updates we receive is very unique. The software sometimes stuck down when u r making any background complications in the system very easily. * We monitor all AzureDesk reviews to prevent fraudulent reviews and keep review quality high. We do not post reviews by company employees or direct competitors. Validated reviews require the user to submit a screenshot of the product containing their user ID, in order to verify a user is an actual user of the product. Hi there! Are you looking to implement a solution like AzureDesk?